Located just off the shore of the Pinheiros River, this space is surrounded by a huge selection of cozy restaurants, comfy hotels and an abundance of retail and cultural venues to take your busy mind off of work. Providing premium access to Berrini train station, this centre is well connected to a major trainline, that runs north and south along the river. Congonhas-Sao Paulo airport and the Sao Paulo Museum of Modern Art are located less than 15 minutes drive away which give you the opportunity to provide more than just a working experience to out of town clients. A spacious coworking space, boasting fully equipped workspaces and designer meeting rooms with stunning architecture and overall design. Offering a business club filled with like-minded individuals in a place that is suited perfectly to brew your next big business idea. Seek inspiration in one of the breakout areas or escape to the sunny outside terrace for an instant recharge. This modern and stylish office building is set within one of the region's foremost and most commercially significant corporate districts, offering all prospective tenants with a wide range of professional services and state of the art technological facilities as standard. With flexible terms of occupancy, great value rates and the ability to provide specifically tailored services to fit particular business requirements, this center is ideal for all professionals. Ideally located, this center is surrounded by a variety or services and restaurants to accommodate all employees and their guests. A modern office design doubles as a professional location that presents an business with the opportunity to thrive. Convenient pricing allows for a business to focus more on growing. Located within walking distance to multiple underground train stations and activities. This exquisitely furnished and fully functional business center installation is a premium standard and commercially significant corporate establishment, locally renowned as a key business center and home to some of the region's most prestigious workspace solution packages and corporate facilities. Offering clients meeting space, technological equipment, management services and much more. The site is also easily accessible via excellent transport links. With easy access to both the domestic and international airports of the wider region, this prestigious and exceptional quality premium business address offers a wide range of excellent transport links and local services, as well as fantastic amenities close at hand. Occupying 6 floors of the Victoria Plaza building, in one of the most prestigious addresses in the city, this centre offers a range of solutions, and is close to many hotels, restaurants and more. With flexible workspace packages, great business support services and a friendly professional team of specialist staff, this serviced office center has everything a business occupant could need for day-to-day working operations and corporate requirements. Located in a prominent central position close to the old centre and with buses stopping close-by, this exceptional business location is ideal for working clients of any industry and background.. This fully functional, highly desirable and exceptionally prestigious corporate business installation is a major provider of high end and technologically sophisticated workspace solution packages for all commercial tenants and professionals in need of flexible and impressive office facilities. Offering high speed internet connectivity, spacious meeting rooms, conference facilities, administrative support, reception services and more; this is the ideal working environment for any client. This is a unique and exceptional opportunity to rent premium first-class office spaces, right in the heart of Sao Paulo's thriving central business district area. Close to the area's main major railway station, they benefit from an especially convenient location and are surrounded by an extensive variety of the region's most luxurious and high quality hotels, restaurants and an abundance of other excellent amenities. Renovated over the last six years, this fantastic and state of the art business installation on the famous Faria Lima Avenue is home to this exquisitely furnished and fantastic, contemporary business center providing more than 1,500m² of office space across two floors. 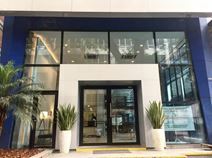 Both floors have their own separate reception area while the building itself is only a short walk from the Metro station and bus stop and is highly convenient for commuters, clients and visitors. This business center provides fantastic and fully furnished professional office space to let in one of the best areas of Sao Paulo. 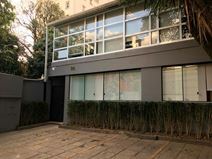 This business centre is located in the prestigious Itaim Bibi area of Sao Paulo, which has been drawing major international tenants in recent years. The area boasts many of the best restaurants, hotels and theatres in Sao Paulo, and you will find all of these within close proximity to the centre. This professional business center provides executive and premium office space to let in a strategically located office building in Sao Paulo. The building contains conference rooms, an auditorium, cyber café and well-designed lobby. It is located in a bustling commercial area of the city, with east access to both airports and a range of amenities, including shops, banks, gyms and entertainment venues. A modern centre situated in a vibrant area of Sao Paulo, this centre provides a range of office-spaces that are available on flexible terms. Work-spaces here benefit from high-speed internet, relaxing communal areas, a friendly welcome desk and delicious fresh coffee. The immediate area is filled with amenities including retail outlets, hotels, stylish bars and local restaurants. Transport links are also available including substantial rail and metro links. The airport is easily accessible as well, allowing travelling guests to visit the business hub with ease. This executive, premium and outstanding landmark office building not only has its own helipad, it is also located on one of Sao Paulo's most commercially significant and locally renowned streets. The business center is spread over four separate floors (one is a dedicated co-working area), each with its own professional reception area and administrative support services. Throughout there is an innovative modern design and the very latest in technology and equipment. 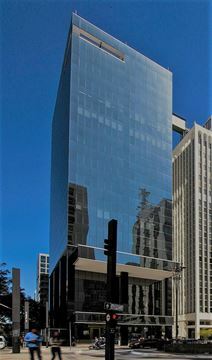 A recently completed, premium quality office centre, in an unbeatably well connected and secure location in the famous and engaging financial centre of Sao Paulo. The building is right next to the Intercontinental Hotel, and is within easy reach of restaurants, banks, The Trianon Park and The Sao Paulo Museum of Art. There is convenient highway and public transport access, and ample underground parking for tenants. 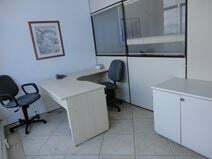 This excellent business centre is located in the Jardins area of Sao Paulo. As well as the offices, the centre contains conference rooms, a cyber café and an administrative support centre. The area has a mix of business premises, including the national headquarters of major international companies, and luxury residences. The Guarulhos International Airport and Congo has Airport are both within easy reach. The area also boasts numerous luxury hotels, and a major shopping mall, that contains a cinema, banks and numerous restaurants. An impressive centre situated in a vibrant district of Sao Paulo with access to plenty of amenities including high-speed internet, spacious meeting rooms and large conference rooms for collaborative purposes. The centre also employs a professional maintenance service which ensures the upkeep of the work-spaces is handled responsibly. The area is filled with local amenities as well as plenty of transport links including great road, rail, bus and air connections. Local restaurants, bars, hotels and retail outlets also surround the centre in abundance, facilitating something for everyone to enjoy outside of working commitments. A unique business centre in a perfect location in Sao Paulo. This centre is made up of four towers around a landscaped plaza, and from the towers there are stunning views of the city. 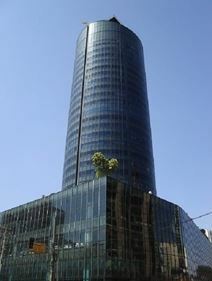 The centre is located in Sao Paulo's business district, and is adjacent to the Morumbi Train Station. There is high-end retail and fine restaurants just a stone's throw away and both the Grand Hyatt and Hilton hotels are not far. This exquisitely furnished and extensively equipped business center installation is a key workspace provider for the immediate region and commercial community that occupies the general vicinity. The site provides a range of technologically sophisticated and state of the art facilities and professional services including spacious meeting rooms, high speed internet connections, dedicated corporate telephony and much more. This prestigious and contemporary business center installation is a premium standard and exceptionally well supplied corporate location, offering all prospective tenants and professional clients with every facility and service needed to accomplish business goals and cater for any particular corporate requirement. The extensive and diverse workspace solution packages available are highly flexible and feature state of the art technology. This fantastic and state of the art business center installation is a key provider of high end, contemporary and technologically sophisticated workspace solution packages; in addition to offering all prospective professional occupants with a wide range of professional services including spacious meeting rooms, on-site management, breakout space, high speed internet connectivity, technical equipment and more. Fully furnished and serviced offices to let in one of the most prestigious business addresses in Sao Paulo. This premium quality building features an impressive reception area, full conferencing and video-conferencing facilities, a concierge service, and even a heliport. The centre has a range of amenities contained within the building, including a mobile phone shop, hair salon, bank, restaurant and stationery shop. The building is strategically located in Sao Paulo's financial centre, and has good access to the subway and other transportation links, museums, universities, fine restaurants, 5-star hotels and a range of other amenities. Close to the area's very best and most historic theaters and vibrant nightlife venues of Bela Vista, this collaborative workspace and premir corporate location is situated within the former Banco Real building and has an incredible interior design inspired by the well renowned Modern Art Week of 1922, ensuring that the space is both unique and inspiring for all professionals seeking comfortable, contemporary and productive workspace. This exceptionally furnished and exquisitely supplied business center is close to every desirable amenity, ranging from the likes of gourmet restaurants to luxury hotels and entertainment venues. 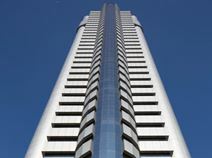 The prestigious and landmark business center is located on the 10th floor of a breathtaking glass-fronted skyscraper on Paulista Avenue. All kinds of industry are represented in Sao Paulo, and the area is popular with large multinationals. This exquisite and executive business center is within walking distance of a significant multitude of local amenities, services and landmarks. This is a well-known Class A corporate building offering a range of state of the art and highly efficient office solutions to suit any client's particular and specific corporate requirements by offering specially tailored services with significant flexibility. This state of the art and exquisitely furnished business center installation is one of the region's foremost and most highly sought-after corporate locations and is available for immediate occupancy at competitive and flexible rates. The site provides prospective tenants with a number of services and high end facilities including spacious meeting rooms, high speed internet connectivity, conferencing equipment and more. This comfortable and luxurious business centre provides great value and stunning interior office space provision with an extensive and diverse range of amenities available on site, as well as secure nearby parking for all vehicles and professional visitors to the center. This is a thriving and vibrant location in a popular area of the country and benefits from the prestigious and highly renowned reputation of the district's professional occupants and commercial residents. In the heart of a creative, metropolitan environment this new cool area of São Paulo is an ideal location for businesses to develop ideas and evolve working relationships. A beautifully designed collaborative space surrounded by restaurants and pubs, shopping malls and urban art galleries. The local transport links are also excellent and make the center itself easily accessible from all reaches of the surrounding area. This distinctive and iconic modern business center offers a large and diverse range of stunning and state of the art technical facilities within a prestigious complex. With impressive glazing, spacious and comfortable workspace and an extensive range of on-site support services and management, this high end and premium business installation has everything that any type of professional client will require. This Sao Paulo business centre offers top quality office accommodation in an ideal location. The centre contains a fully-equipped auditorium and an administrative support centre, fitted out with state of the art equipment. The building's first floor also contains a 180 seat amphitheatre, the Plaza Centenário Amphitheatre. The area boasts the full range of amenities, including restaurants and fast food outlets, shopping, gyms and cinemas. You can also easily reach either Guarulhos International Airport or Congo has Airport. Premium and executive office space available at fantastic value in one of Sao Paulo's leading business centres. The centre comes with an administrative support centre, an auditorium, conference rooms and a cyber café. 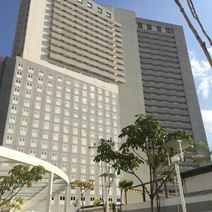 The centre is conveniently located; having easy access to both Guarulhos International Airport and Congo has Airport. The area has a range of amenities, including a shopping mall, shops, restaurants and gyms. This executive business installation provides quality furnished and serviced offices available in one of the best buildings in Sao Paulo. These offices boast panoramic views of Sao Paulo, and features 24 hour security services, a manned reception, parking spaces and a phone answering services. The building is located I one of the fastest-growing districts of Sao Paulo, and is adjacent to the best shopping mall and theatre in the city. 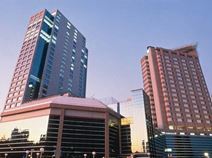 This exquisitely furnished and highly equipped business center is one of the city's most prominent technologically innovative commercial installations and is within walking distance of the region's main major business district and many fantastic local restaurants, luxurious hotels and a wider range of convenient amenities and transport services. The center offers wonderful views from its stylish and comfortable office space. A full range of facilities is available to clients. This fantastic and spectacular flexible workspace center is part of an upscale complex of residential and corporate towers, surrounded by beautifully landscaped gardens to provide an idyllic and tranquil retreat from the working environment. Offering stunning views of the surrounding region, these are luxurious and highly prestigious office suites with a range of business support services available to clients. This highly prestigious and luxuriously furnished business center is within walking distance of numerous subway, train and bus links; and is centrally located within a locally renowned and very impressive landmark skyscraper in the heart of Pinheiros. Offering impressive views, this center provides a comfortable working environment and a range of business support services and state of the art technical facilities of the very highest standard. This professional and highly prestigious corporate business center installation is located within a vibrant and commercially significant district in the major and globally renowned city of Sao Paulo. The center itself features a wide range of facilities and exceptional provisions including technologically sophisticated and innovative equipment and a vast array of workspace solution types. The regional transport links are also excellent and highly convenient. This state of the art, commercially significant and locally renowned business center and corporate hub is a premium and technologically sophisticated working environment; ideal for professional tenants of any industry or corporate background. 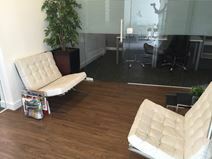 The building offers luxurious interior furnishings of a modern and stylish nature, with a vast array of facilities and office services provided as standard for all clients. This exceptionally well equipped and fully functional business center installation offers prospective tenants and professionals with a number of fantastic quality business services and facilities included on-site as standard, such as high speed internet connections, dedicated corporate telephony, comfortable breakout space, reception services and more. The regional transport links are also very good and make the center easily accessible. 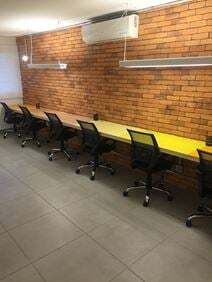 These air-conditioned and luxuriously fitted office suites each serve four workstations while there is also access to two meeting rooms, suitable for up to eight; making this center the ideal location for affordable and high quality co-working solutions in the immediate area of São Paulo. Located in the engaging and thriving Pariso neighbourhood, this center is easily accessible for both occupants and corporate visitors as well as benefiting from a range of excellent and convenient transport links. A fine and contemporary business centre located on Sao Paulo's Paulista Avenue, Sao Paulo's most famous commercial avenue. Nearby are a range of amenities, including the large Paulista Shopping Mall, banks, gyms, hotels and a pharmacy. There are also cultural amenities, such as museums and theatres, in addition to the cinema contained in Paulista Shopping Mall. A perfect commercial location in Sao Paulo. Situated in the very vibrant commercial heart of central São Paulo and its most renowned business district and corporate sites; this exquisite business center location is set close to a number of high class amenities including major banks, shopping complexes and fantastic restaurants, this centre provides around 2,000m² of space including a panoramic terrace that provides stunning views of the city. This exquisitely furnished and exceptionally well equipped business center and commercial co-working environment is the foremost corporate venue and workspace solution provider available anywhere in the region and offers prospective tenants with an extensive selection and vast array of premium and state of the art technological services and facilities provided as standard to all professional occupants. 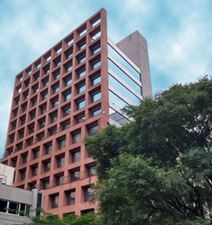 This center is located within a building which has technical specifications compatible with the most advanced buildings in São Paulo and ideally situated at a strategic point of Avenida Paulista. Modern flexible workspace that offers you a good corporate image. The regional transportation networks and infrastructure are also exceptional and provide a significantly convenient range of services in operation throughout the locality. This extensive and highly prestigious business center installation is a key and commercially significant office venue, renowned regionally throughout the area as a major business establishment. Set within a vibrant and engaging corporate community of prominent business residents, this center offers all prospective tenants the ability to benefit from this building's impressive reputation in addition to the range of fantastic quality professional services and facilities present on-site. This contemporary and high end corporate business center offers a range of high-quality office spaces in a dedicated and highly professional environment in one of Sao Paulo's most comfortable and secure suburbs, which encourages networking between local businesses and the wide variety of commercial residents in the area. With a superb location in a sought-after upscale district of the city, this center is close to all the amenities clients might require. Offices available for lease in an efficient and functional business centre. This business centre comes with an auditorium, net café and conference rooms, and the building boasts a tastefully decorated reception area. 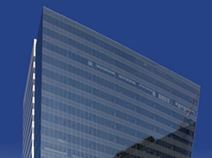 This business centre is located in the premier business district of Sao Paulo, which has been experiencing considerable growth in recent years. Both the Guarulhos International Airport and Congo has Airport can be easily reached from the centre, and there are a range of conveniences and entertainment facilities in the area, including banks, restaurants, shops and gyms. This distinctive landmark business tower is home to this exquisite and fully equipped business center, which enjoys great views, fantastic state of the art technical facilities and stunning landscaped gardens as standard. Set in a prestigious commercial neighbourood, this centre is very close to an excellent selection of major banks, eateries and bars and some of the biggest name hotels in the industry, in addition to excellent transport links. It has two commercial floors and is very safe (there are residential appartments in the gallery, thus 24h 7/7 security), and night bars around the gallery exits. It is within 2 minute walking distance from two subway stations, various bus lines and Terminal da Bandeira. There are famous restaurants nearby, such as Porco, Dona Onça, Esther Rooftop and a very popular french bakery, Olivier (next to Starbucks). This exquisitely furnished and technologically sophisticated business center and working environment is one of the region's foremost and most extensively equipped business installations and offers all prospective clients with a range of workspace solution packages and professional services including spacious meeting rooms, breakout space, conferencing facilities, secure on-site parking provision and much more. Based around a calming and inviting neighborhood, this center is ideally located in the heart of the Vila Olimpia district. Providing 24/7 access, business can be done at any hour of the day. The corporate style design offers any business a professional atmosphere with the flexibility to expand as needed. The nearby nightlife district offers endless options for both food and nightclubs for employees and guests to enjoy. Offers convenient travel options that are within walking distance of the office. 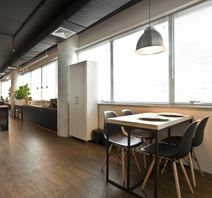 This modern and minimalist, yet emphatically luxurious and fully furnished co-working environment allows prospective tenants and professional clients to collaborate with each other internally and are supported by a multilingual and specialist business support team. This fantastic and highly convenient corporate location is a only short walk from Paraiso Metro station and close to Congonhas Airport, making it ideal for commuters and visitors to the site. Surrounded by multinational companies and new buildings, this office space is spread over two floors with a total of around 1,000m². The center is located on the prestigious Funchal Street in an area known as the Brazilian 'Silicon Valley'. The regional transport links are also excellent, with a multitude of convenient and frequent services in operation throughout the area and its surrounding reaches. This exceptional and highly professional business center is fully furnished and very well equipped with the very latest in state of the art technological facilities to provide one of the region's most significant and commercially attractive corporate locations. Benefiting from the excellent local transport links of the area and the wide range of services provided, this center represents the ideal setting for corporate and professional operations. 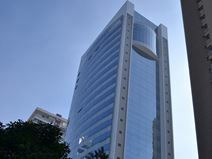 This exquisitely furnished and conveniently situated business center location is set within a vibrant and commercially significant business district, locally renowned throughout the locality as a key hub for business opportunity and corporate growth potential for companies of all industries and backgrounds. The site offers tenants such facilities and services as spacious meeting rooms, conference capabilities, breakout space and more. A strategically located and very high quality premium business centre, in the heart of Sao Paulo. This centre is not far from the exclusive residential areas of Faria Lima and Jardins, and also has direct access to the highway network and public transport. The centre is part of a multi-use development that includes a convention centre and 5 star hotel and the most exclusive spa and gym in the city. 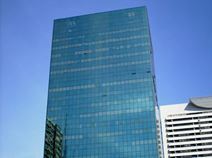 In the heart of Sao Paulo's financial district, just around the corner from the Faria Lima neighbours of this building include businesses such as Credit Suisse, JP Morgan, Google and Yahoo, so you"ll be in good company. The collaborative space is supported by an on-site management team during workdays to help with your requests and to cater for client's particular and needs and specific specialist business requirements with ease. This exquisitely furnished and state of the art business enter installation is a key commercial establishment set within the city's most exclusive and commercially renowned business district. The building is fully functional and widely fitted with an extensive array of equipment and professional services in tended to make the day to day requirements of all prospective business tenants easily catered for.